Several months ago we came up with the idea of hosting a global hackathon—a hackathon so big that one city couldn’t contain it. Everyone thought it was crazy. We even thought it was crazy, but we’ve never let that stop us before. A startup organizing an event in four cities around the world simultaneously doesn’t sound possible. Well, the hackathon is over now and it did even better than we had hoped back when it was just a mad dream! Let’s recap what happened last weekend in Krakow, London, New York, and Guadalajara. 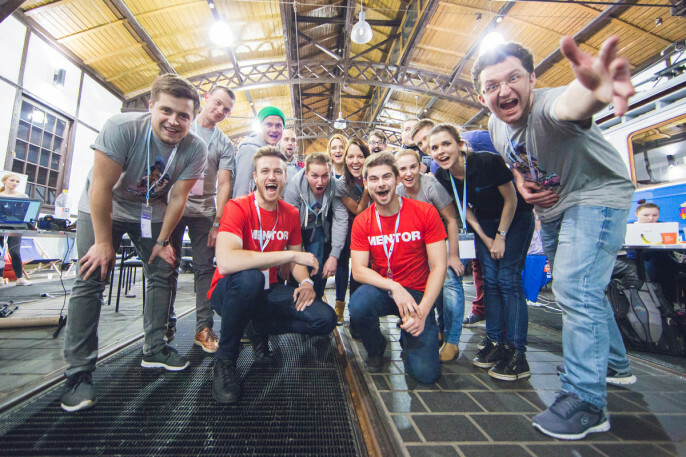 BeaconValley started as an idea to beaconize our hometown, Krakow, Poland that then turned into a 24-hour IoT-themed hackathon we hosted in June 2015. This first edition attracted 100 developers and resulted in 16 amazing apps using Bluetooth Low Energy to transform different areas of our everyday lives. Starting with that idea, we expanded it to a bigger, better, grander hackathon. The BeaconValley Hackathon turned into the BeaconValley Global Hackathon. Organizing a simultaneous 4-city hackathon is a “hack” of a lot of work, so we partnered with Proxama, a mobile commerce, loyalty, and payment solutions provider, who helped us make it happen and shared their TapPoint technology with our hackers. The event launched on Saturday, November 21st. The task that we set for our participants wasn’t a simple one: create a smart city app that would solve a problem in at least one of the following areas: culture, health, transportation, or commerce. Based on the execution, we picked four local winners at each hackathon location, out of whom we selected the Global Winner. Beyond that, Proxama chose a winner of their challenge of using the TapPoint platform. Each location also had their own local challenges suggested and sponsored by our local partners. In total, all prizes were worth $8,200! It wouldn’t be that fun to simply hold four hackathons in several locations; the trick was to create one hackathon and to make our attendees feel that they’re a part of something bigger than the usual hackathon experience. We had a video call between each location so our local hackers could say hello to each others and share their impressions. We also live streamed our opening presentations by Kontakt.io in Krakow and Proxama in London and displayed them at other locations and promoted them in social media to let everyone watch it. Moreover, we hosted a behind-the-scenes live stream from Krakow, London, and Guadalajara. Finally, our support lines were available for 24 hours to all the attendees, no matter where they were. But hackathons aren’t only about numbers. They’re about building great solutions in a great atmosphere. So how did we do? If you want to see how these apps work and learn about other local winners, pop over to this playlist and let us know in the comments which team you like the most! When it comes to the atmosphere, we believe that pictures are worth a whole lot of words, so instead of talking how good it was, we put together a gallery on our Facebook page. We want to thank everyone who attended, either physically or virtually. Congratulations to winners and kudos to other brave warriors. Keep going and get ready for the next edition! Now that we know that BeaconValley can be not only about building one smart city but connecting many of them, we’re even more excited about it. And we can’t wait to do it again! PS: Make sure to check out Proxama’s impressions on their blog!